The P225-A1 retains the exceptional look and feel of the original P225, but features an enhanced trigger and the precision manufacturing and quality from the state-of-the-art SIG SAUER facility. The P225-A1 is a single-stack 9mm pistol with the time-tested double-action/single-action trigger system. A fully machined stainless steel slide is finished in the durable Nitron finish. 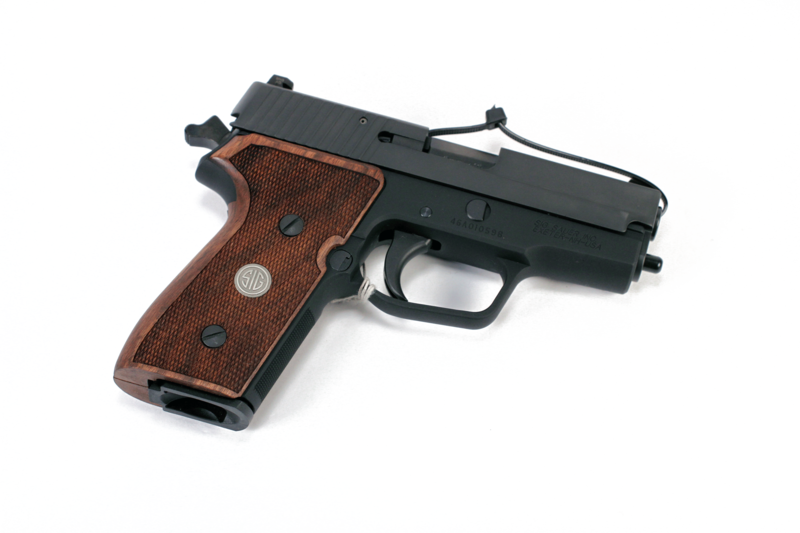 A hard coat anodized frame sports wood grips with the SIG mark medallion. With a lineage as the long-time handgun of the West German police, and a popular concealed carry option in the American market, the P225-A1 is a time-tested performer. The slim slide profile and shorter barrel length is easy to carry yet retains the familiar controls of its full-size batterymate the P226. Featuring the accuracy, reliability and durability of all SIG SAUER products, the P225-A1 combines the elements of the company’s history with the cutting-edge manufacturing of modern day SIG.